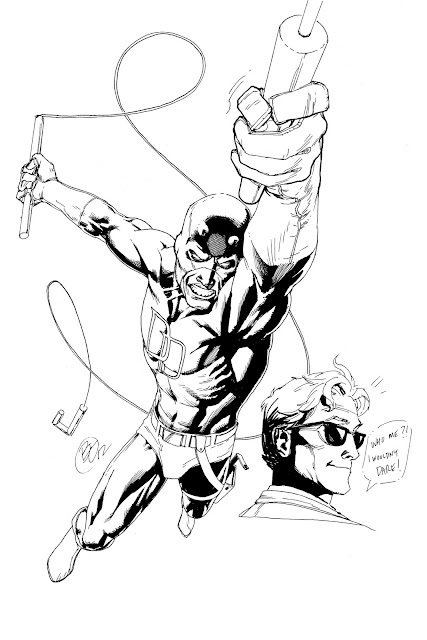 Have you been reading Mark Waid's Daredevil?! Why the hell not?! It's been so great AND it just so happens Chris Samnee is giving a masterclass in storytelling and line economy on art duties. I drew Daredevil, and threw in a bonus Matt Murdock just fer kicks.